Why does my cat barf?” seems to be one of the most common questions that cat owners have. Many cat owners and even some veterinarians claim that it is normal. But a recent study recorded in the Journal of the American Veterinary Medical Association (JAVMA) gives us a totally different answer. Researchers carefully observed and studied the condition of 100 domesticated cats that vomit frequently. After a series of blood tests and biopsies, it was concluded that frequent vomiting is not normal but a clear sign that something wrong is happening inside their body. There are at least three situations wherein cats throw up. These are regurgitation, expectoration, and actual vomiting. Vomiting is one of the most common reasons why cat owners bring their pets to the vet. But sometimes, vomiting isn’t actually vomiting and as a pet owner, it is imperative to know the difference for 3 main reasons – to save your cat from suffering further, to save on cost of unnecessary trips to the vet, and to avoid irrational worries. Actual vomiting happens when the content inside a cat’s stomach heads out. Usually, this content includes bile along with other substances inside the stomach. Knowing the difference between vomiting and regurgitation is necessary to determine the right type of treatment. If your cat is vomiting, it may feel nauseous as its abdominal walls contracts. You may also notice it licking its lips constantly. If your cat is regurgitating, it will simply open its mouth and food will freely come out. All in all, regurgitation is a passive process while vomiting is an active one. A lot of people mistakenly think that just because cats throw up, they are already vomiting. The truth is that sometimes, they are just regurgitating. Is your cat vomiting undigested food hours after eating? If it is, it’s probably regurgitating which happens when the undigested food in your cat’s throat gets ejected. When regurgitation occurs, the ingested food comes out in a tube-shape from the esophagus. This clearly shows that the food stayed in the esophagus for quite some time. This is usually the case if your cat is gobbling up every meal which can occur a few minutes after meals. Keep in mind that the esophagus of your cats is not vertical, but horizontal. For that reason, eating too fast is not best for them. The common reasons for cat regurgitation are not related to diet issues. And even though it may seem completely normal, it is still best to find ways how to avoid it. Expectoration is the process of coughing up something from the lungs or stomach. When cat expectorates, cat owners may mistake it to vomit. Just like humans, animals can also suffer from cough and they may throw up phlegm or mucus. Sometimes, when a portion of food goes down improperly, some part of it may also be expelled so don’t make assumptions right away. When your cat is manifesting signs of expectoration, please do some observations first. Is it coughing throughout the day? Is there a splash of mucus on the floor? Is it eating too fast and might have a bit trouble keeping its food down? Then if it is, even if it’s proven that it’s not vomiting, you might need to have the cough treated by the vet if it gets too serious. Regurgitation and expectoration don’t always stem from a serious condition. Vomiting, on the other hand, must not be taken lightly. Cats love to groom themselves. They are born hairdressers! Sometimes, they even love to groom their fellow furry feline in the house. If this is the case, they may swallow too much hair and this may cause vomiting. If you notice cylindrical plugs lying on your floor with a significant amount of fluid, your cat may be suffering from a hairball problem. Sometimes it’d be clear liquid vomiting. The perfect diet for your kitty consists of meat since cats are carnivores and would need excellent protein sources. It’s applicable on feeding raw meat too. Unfortunately, most cat foods today consist of “rendered ingredients.” This pertains to protein sources that are not fit for both human and cat consumption, such as bird beaks, feathers, animal skin, and eyes. Since these types of proteins are not easy to digest and are not really intended for your pet to begin with, they may cause vomiting. Transitioning cats to a new diet may cause a negative stomach reaction and vomiting. It may be due to an ingredient that they are allergic to, or they are just not used to it yet. Like humans, cats can also suffer from food intolerances and allergies. If there is something in their meal that they are allergic to, vomiting may happen. Cheese, for instance, may contribute to tummy problems and vomiting in cats that are lactose intolerant. Sometimes, your cat may throw up to clear its intestines of toxins. If you notice bile or mucus in your cat’s vomit along with diarrhea, this is a clear indication of GI inflammation. If not treated immediately, this disorder may even result in a serious condition known as GI lymphoma. GI inflammation is often caused by preservatives and additives that cat food contains. Sometimes, wrong food choices also contribute to the problem. For instance, did you know that cat doesn’t have the necessary enzymes to digest the lactose in cow’s milk? The only time that you may feed cow’s milk to your kitty is when you need a breastmilk substitute. But feeding adult cats with cow’s milk may result in GI inflammation so it’s definitely a no-no for most breeds. Frequent vomiting might be a result of an irritated stomach due to a bacterial infection or parasite. For instance, your cat vomits grain-like eggs or even live tapeworms, which is obviously a sign of tapeworm infection. Accidents happen no matter how much we want to avoid them. Sadly, vomiting might be a result of an irritated stomach due to cat poisoning. One usual cause would be accidental consumption of toxic substances by accident. This may include plants that aren’t safe to eat or chemicals such as pesticides and cleaning solutions. Another unusual but serious reason for your cat’s vomiting might be due to stomach obstruction. This may happen if your cat swallows something that it shouldn’t. Sad to say, there are cats that suffer from “Pica”—a term that describes the habit of licking and even sucking non-food objects. In serious cases, some cats consume the whole object which results in vomiting. The symptoms of Pica in cats are almost similar to poisoning. However, this doesn’t happen by accident. Behavioral disorder, dietary insufficiencies, and genetic dispositions are the common reasons for this habit. Keep in mind that stomach obstruction through pica in cats could be a life-threatening problem. Common target items of cats that have this condition are paper, fabric, plants, plastic, rubber band, and even electrical cords. This is completely normal in cats. Some felines vomit two to three times a month, while some only vomit two to three times a year. As long as the vomiting is not persistent, there is nothing to worry about. This only lasts for about two to three days. The usual symptoms include non-stop throwing up, pain, weakness, and blood in the vomit. Typically, the underlying cause of acute vomiting is never identified since it usually goes away in no time. But take note that negative reaction to food is one of the common culprits. Since non-stop vomiting may cause dehydration, acute vomiting must not be taken lightly. This occurs when your cat is vomiting for more than a week. Even if your cat seems normal and playful, it is still best to identify its cause so it could be treated properly. Blood tests, endoscopy, and X-rays might be necessary. Most of the time, chronic vomiting in cats is a result of serious health conditions. These include liver disease, inflammatory bowel disease, and hyperthyroidism. Due to regurgitation – Is your cat throwing up undigested food? One possible way to prevent this from happening is by not tolerating cat’s competitive eating. Doing this may solve the problem altogether. Providing at least 15 to 20 minutes of uninterrupted meal time is extremely helpful for your cat to be able to eat slowly. This will avoid vomiting, regurgitation, and even weight gain. But if your cat really loves to gobble up on its food, try giving it several small meals throughout the day instead of giving it a large serving at once. 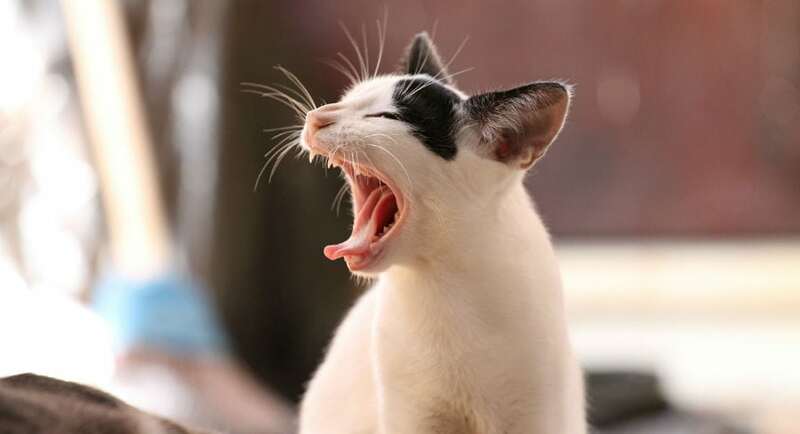 Due to expectoration – If your cat is coughing once in a while, there is no need to worry. Constant coughing, on the other hand, may indicate a health problem that has to be treated. These include inflammatory issues, allergies, asthma, pneumonia, and other lung infection. If this is the case, your vet can help you determine the underlying cause through various tests and prescribe medication. Due to hairball problems – Even though swallowing hair in cats is not really avoidable, there are still some things that you can do. Regular brushing and shaving is a great idea to reduce the amount of hair that your cat is swallowing. Aside from that, you may also try giving your cat a “hairball food” or a special supplement that can help treat the problem. Due to rendered diet problems – Take a look at the label of your cat’s canned food. Does it contain rendered ingredients or protein sources that are not clearly identified? Don’t buy it. Or better yet, stay away from manufacturers that are known to be “renderers”. Due to food transition problems – At all times, switching to new food must be done gradually. A helpful tip to follow would be to mix the new and old food together – slowly increasing the amount of new food within 7 to 10 days. 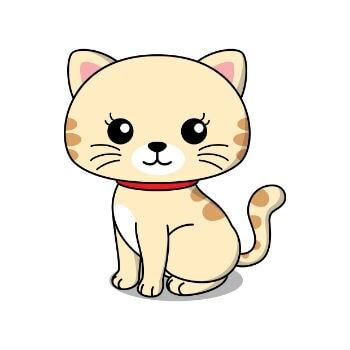 Due to food intolerances or allergy problems – Food allergies often occur when a kitty is fed with the same type of food for a long period of time. Incorporating a nutritional variety into your kitty’s diet is extremely helpful for its health. This will avoid food allergies and even food tolerances from developing. Aside from that, it is also best to know the type of foods that are safe for your cats. There are also various human foods that are not fit for your cat’s body such as chocolate, raisins, and onions. Due to GI inflammation problems – Bad ingredients that your cat food contains such as emulsifiers, surfactants, preservatives, and other additives are the common culprits for the inflammation in the gastrointestinal tract and therefore should be avoided. Due to infection problems – Keeping your cat indoors and watching over the food it eats are the best ways to avoid stomach infection. Do your best to keep it away from contaminated food or water. Due to poisoning problems – Aside from watching over your cat, you must remove or lock away any poisonous item around the house. The top two common cat poisons are household cleaning solutions and household plants. Some of the common plants that are dangerous to your kitty’s health include Aloe, Lily, Tulip, Chrysanthemum, and Marijuana. Due to pica problems – The effective treatment for Pica varies because there are different underlying causes for each cat. If yours suffers from pica due to a disease, your vet will prescribe a specific medical treatment. Otherwise, simple treatment could be done at home. These include removing non-food items out of your pet’s reach or giving it other things to chew on such as cat toys or treats. When is it Time for a Trip to the Vet? Do not let throwing up get in the way of your cat’s happiness and comfort. Most cat owners believe it is a natural part of their furry friend’s life. The truth is it doesn’t have to be. “Is everything normal or is it time to take my cat to the vet?” is another common question of cat owners once they notice their cat throwing up. If your pet is throwing up for at least three times each month, it is safe to say that everything is completely normal. But if vomiting happens at least twice a day for two to three consecutive days, a visit to the veterinarian is advised. If you notice blood in the vomit, this is another sign for a visit to the doctor. Aside from this, any other unusual changes in its behavior and normal diet patterns must be considered. Once you noticed that your cat is throwing up, you must not take the situation lightly. But rather than worrying, it is best that you educate yourself about the matter. Knowing the common triggers of cat’s condition and the preventive actions to be taken are a must. After all, your kitty deserves nothing but the best life possible.